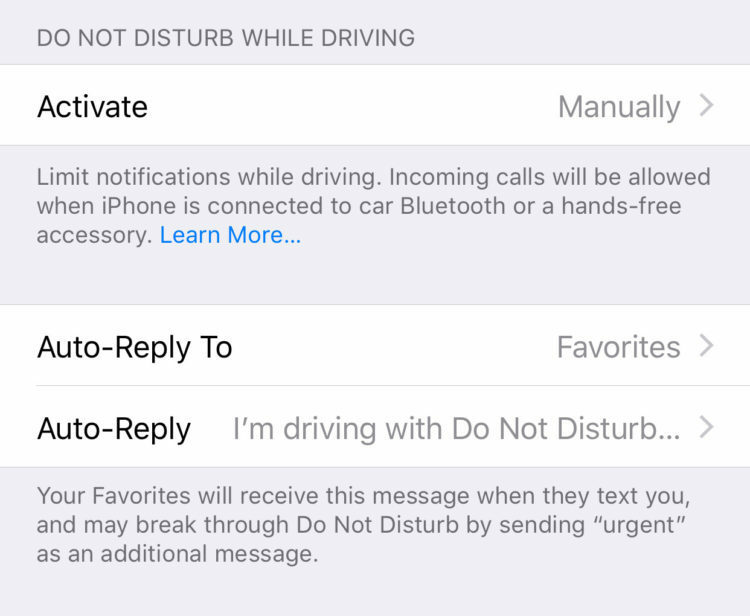 Apple’s new feature is called Do Not Disturb While Driving, and while it is primarily automated and easy to use, I am here today to inform you as to how it works and why you should enable it. When Enable Do Not Disturb While Driving hides and silences all messages, phone calls, and notifications. Phone calls are exempt if your phone is connected to a vehicle equipped with hands-free calling capabilities. In Settings, you can enable an option to send customizable automatic replies to Favorites, Recents, All Contacts, or No One. The recipients of these automatic replies will be presented with an option to break through the Do Not Disturb wall by replying to the message with the word “urgent”. When this is done, you will be notified of the sender’s message. This ensures that you are reachable in the case of an emergency. Otherwise, your notifications will be hidden until the end of your trip. First off, you can enable Do Not Disturb While Driving in Settings > Do Not Disturb > Do Not Disturb While Driving > Activate. Here, you will find three activation options: Automatically, When Connected to Car Bluetooth, and Manually. Automatic activation detects motion and activates while you are moving at driving speeds. 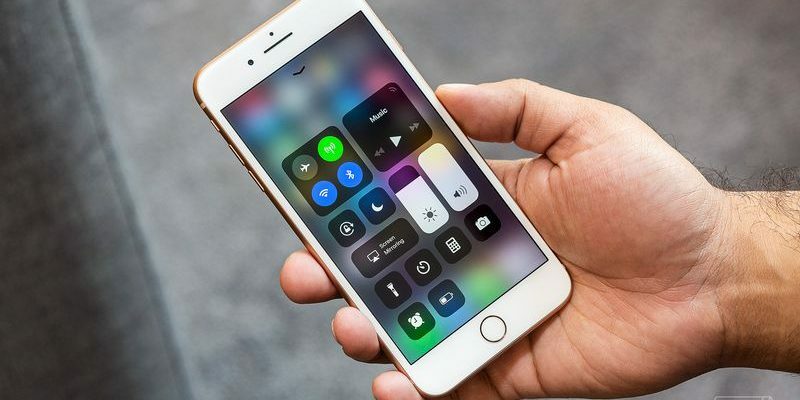 Car Bluetooth activation automatically activates when your phone connects to your car via Bluetooth (if your car comes equipped with this feature). Finally, with manual activation, you can choose to activate DND While Driving via a car-shaped toggle within the newly customizable Control Center. If you do not see this toggle in your Control Center, you can enable it at Settings > Control Center > Customize Controls. When attempting to access your phone after any of the above methods of activation, you can select I’m Not Driving if you are a passenger and not the driver. Next Post:Apple iPhone 8 Plus vs Samsung Galaxy Note 8 Drop Test!